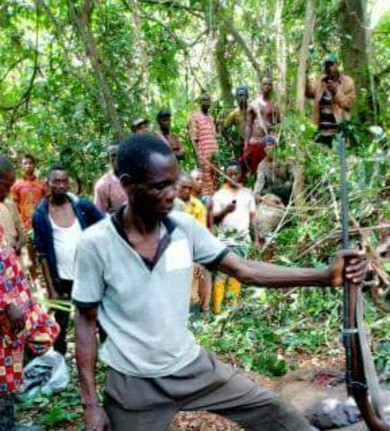 A hunter is facing serious criticisms online for killing an Elephant in Ondo state. The hunter carried out the terrible act at Janiyi Camp, Idanre area of the state. Members of the community claim that the Elephant was destroying crops in the area.